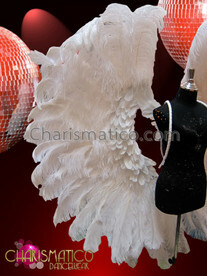 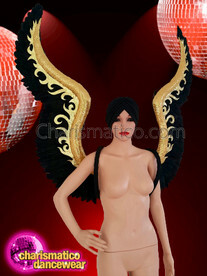 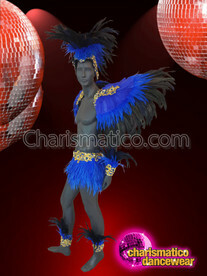 A unique and mesmerizing white feather wing will help you fly faster towards your dreams of being the ultimate diva. 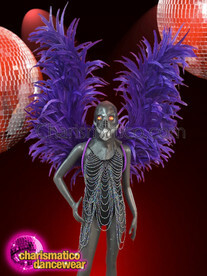 Designed in a backpack style to offer you the utmost comfort as you dazzle everyone watching you on stage. 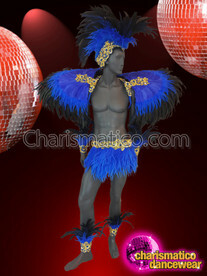 Add the wow factor to your dance costume by wearing this white ostrich backpack with your ensemble.